The Core Collection brushes have become so popular recently. And rightly so, they truly are a brilliant and must-have collection. 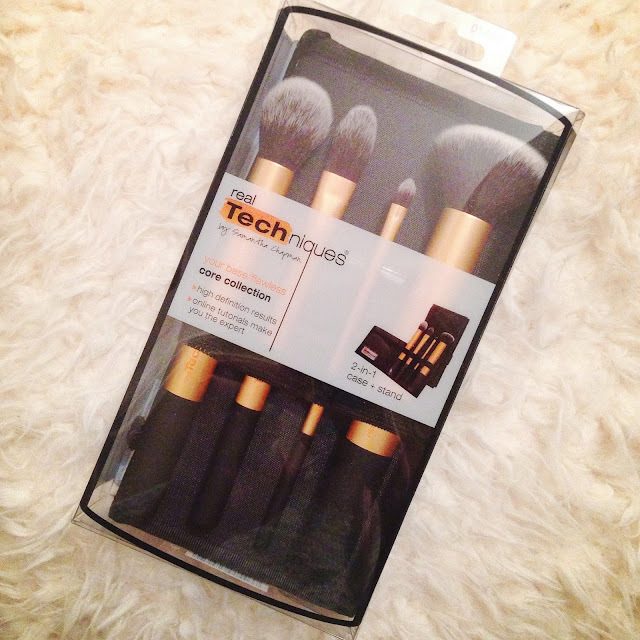 Included in the set is a buffing brush, contour brush, foundation brush and a detailer brush. I watched a Youtube video showing them about six months ago and immediately went out to purchase on excellent recommendations. I have not stopped recommending them since and I am still shocked when a friend of mine has never heard of them. A number of my friends have also asked me why they are so great and what exactly they can be used for. So, I decided I would write a post to show a few of the best ways that each of the four brushes can be used. These are just a few ideas of how I use them. I’d love to know if you have any other ways in which you like to use them to apply your makeup. The primary use for this beauty I feel is foundation application. It buffs liquid or mousse foundation into the skin flawlessly, leaving the skin perfectly covered. Due to the style of the brush, it ensures that you apply just the right amount of product and your skin will not get cakey in the way you might find with a sponge. The bristles massage the product around the skin so that no area is left more covered than another. It is so soft and truly gives the best foundation cover I have ever achieved. Another way in which I use this product is to clean up areas of the face after more makeup has been applied. For example, after applying bronzer to contour my cheeks, I run the buffing brush underneath the cheek hollow line to neaten up the contour line. It means that any fall out from the bronzer is swept away and you are left with a more defined line. This brush could be used with cream or powder blush really easily for a more stippled blush effect. By dipping the ends of the bristles into a cream product or powder blush, the ends of the bristles could be patted onto the cheeks in a stippling motion, to apply a small amount of blush to particular areas of the face. First and foremost, as the name suggests, this brush is perfect for getting in to the hollows of the cheeks and forming the perfect contour line. By sweeping the brush through your bronzer, you can run the brush along your hollows and the size of the brush means that the line is not too large and ridiculous. It really does work perfectly and I use this brush daily now. The size of the brush also means that you can use it to clean up around your eyes. After applying eyeshadow you may be left with powder fall out. The contour brush can be swept easily over the under eye area, taking away any excess powders. 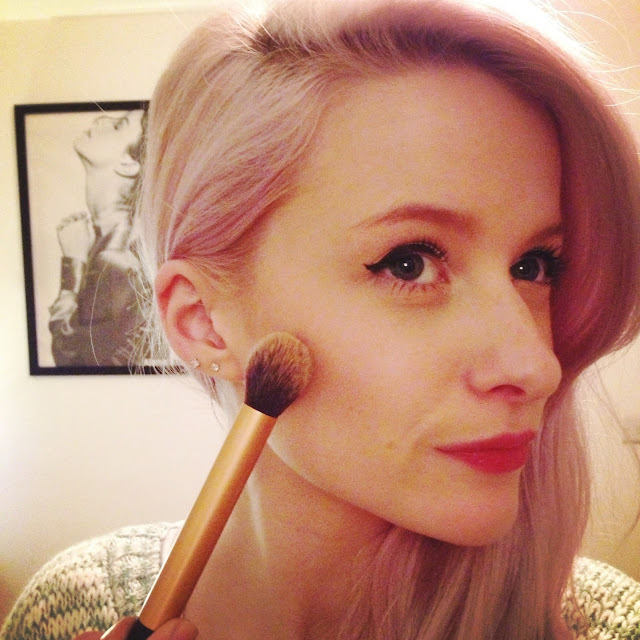 In the same way as the bronzer, the contour brush can be used to apply highlighter to the tops of the cheeks. 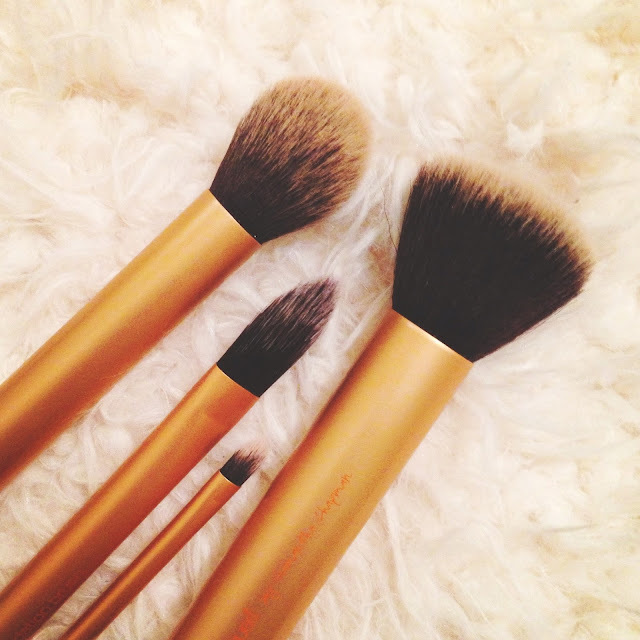 The size of the brush means that you get just the right amount of product and shape to the upper cheek bones. In all honesty, this is the brush I use the least. 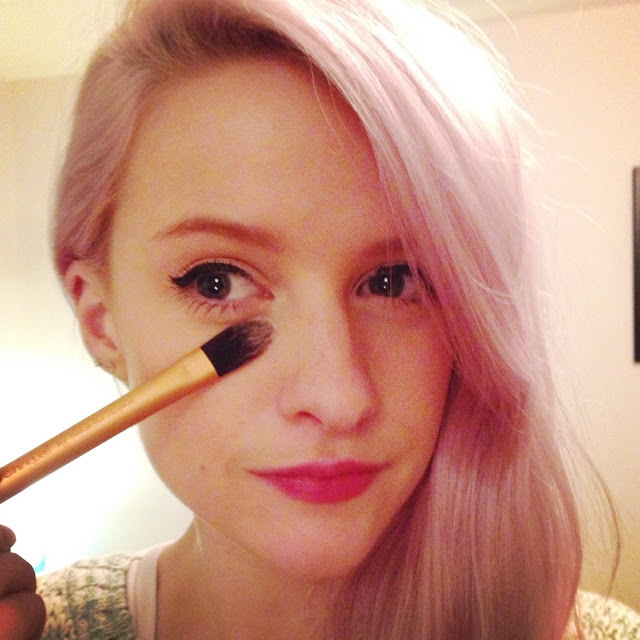 It is suggested to be a foundation brush, and fair enough if you like to use a tiny brush to apply foundation. This is less than half the size of a regular foundation brush, and more along the lines of a large eyeshadow brush. For that reason I havent really used it, but it could be great for anyone hoping to apply foundation to small areas of the face when they have already applied makeup. 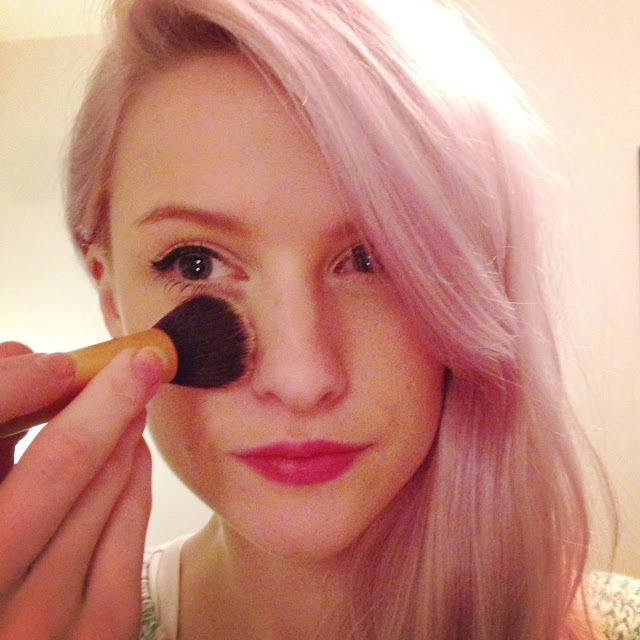 For instance applying more foundation under the eyes or around the nose after already applying bronzer and blusher. It means small sections of the face can be touched up. A few times I have used this brush to apply concealer. After using the concealers doe foot applicator, I have sometimes taken the foundation brush to dab and blend in my concealer. 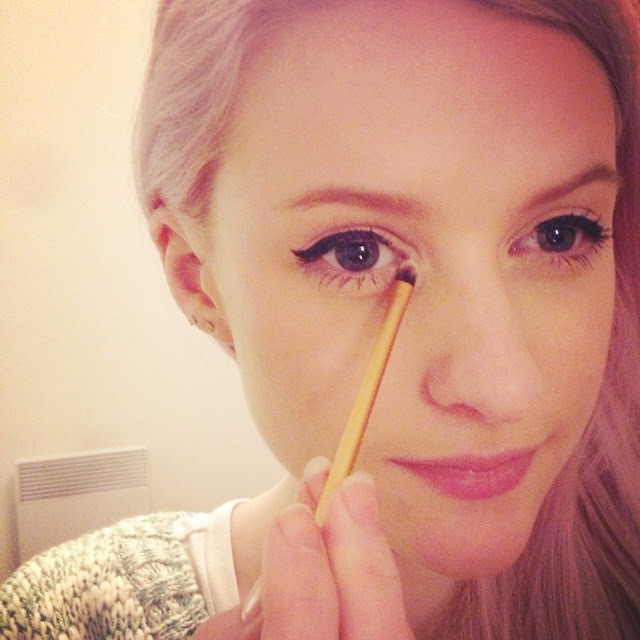 It is not my favourite way of blending concealer but it does work, especially to apply it around the eyelid. This is probably its best usage purpose. After applying a liquid highlighter, such as Benefit High Beam to the tops of your cheeks, the real techniques foundation brush is handy to dab and blend in the liquid. The size of the brush again means that you wont be spreading highlighter all over your face, so this is a great way to apply it. The tiny size of this brush means that it is perfect for adding those last little details to your makeup. For last minute concealer touchups, either with a liquid or cream concealer, the little brush is perfect for covering blemishes, spots or small areas of the face. This is my favourite way to use this brush. I apply shimmer or light shades of eyeshadow to the tear ducts and this brush is perfect for this area. It fits perfectly into the small area and does not leave lots of powder excess over your under eyes. 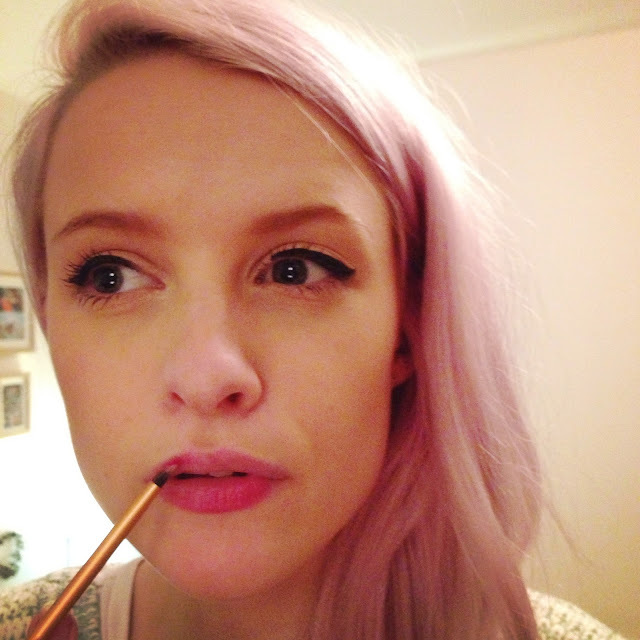 Another way this could be used is as a lip liner. Dabbing it over the top of your lipstick in the bullet, you can then apply it to your lips to get the perfect application. I hope this was helpful for some of you. If you have any questions, just leave a comment and Ill get back to you :) You can buy the set from Look Fantastic for £20.99 which is an absolute bargain for four brilliant brushes. I would pay this just for the buffing brush alone to be honest. What are your favourite brushes?